Ho Ah Chon was a historical magpie, specialising on all things to do with Sarawak. 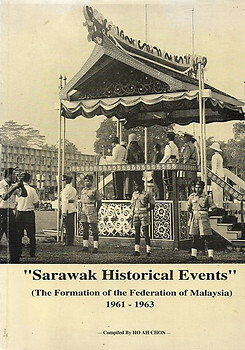 Here he presents extracts from Sarawak by the Week and The Sarawak Tribune over the period leading up to the state becoming part of the Federation of Malaysia in 1963. The text is accompanied by numerous black and white photographs. Very Good Paperback First Edition. 184 pages.